When you hear the names of certain companies, you have an image or general idea of who and what they are, right? When you hear Coca-Cola, you think refreshing and when you think Nike, you think athletic and active. Have you ever paused for a moment to consider what your customers think of when they think about your company? Your company identity can be rather important when new customers are considering who they want to use. New customers want someone that will be a perfect fit for them and what they desire, whether thats reliability, enthusiasm, freshness, or whatever else it is they may want. Why does it matter, you may ask? You may be thinking that it shouldn’t matter as long as your product or service is of good quality. Of course it is important that your product or service is good, but thats not the only thing that customers consider these days. Who your business is to the customer matters immensely in their decision of who to do business with. 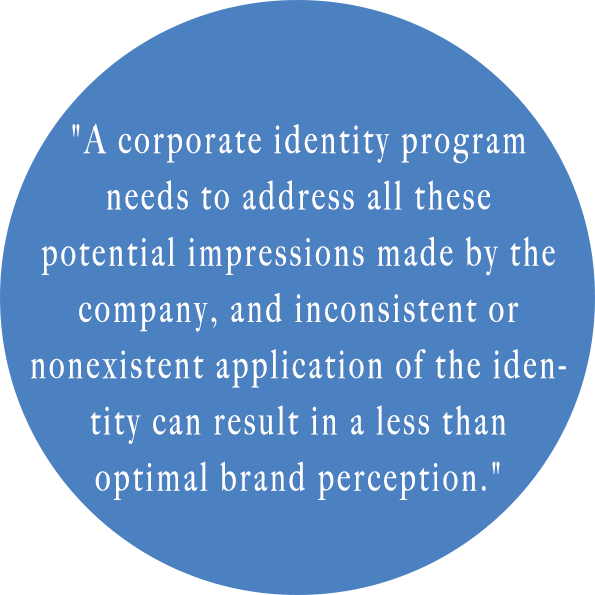 Your companies identity can tell customers so many things—will you be helpful in a dilemma? Do you care about customer service? Do you strive for professionalism? Your identity can make the difference of whether or not some customers will be attracted to you or not. Thats why its important to actively and consciously build your identity. So figure out how you want customers to view your business and build towards that image. Everything from your company colors to the font that you use in your logo can affect a person’s perspective of you. Keep this in mind when you make these important decisions. Select core values that reflect your identity. You company identity says it all, whether you want to be youthful and fun or professional and dependable. Make sure you consider how your target audience will perceive you when you make important decisions such as you logo and core values.